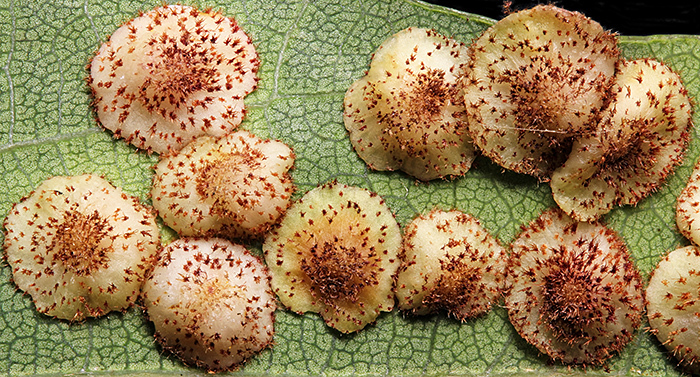 Galls are abnormal growths of various sizes and shapes that can be found on any part of a plant. 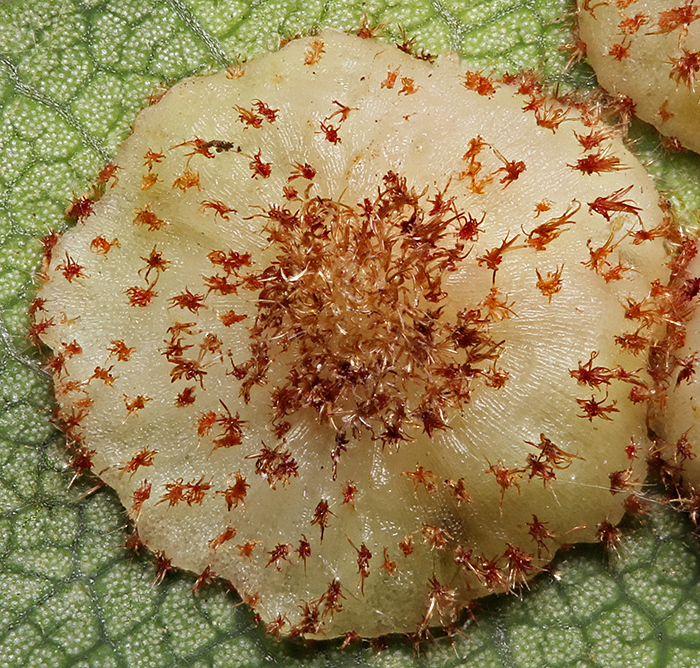 They can be caused by viruses, bacteria, fungi, nematodes, mites and insects. 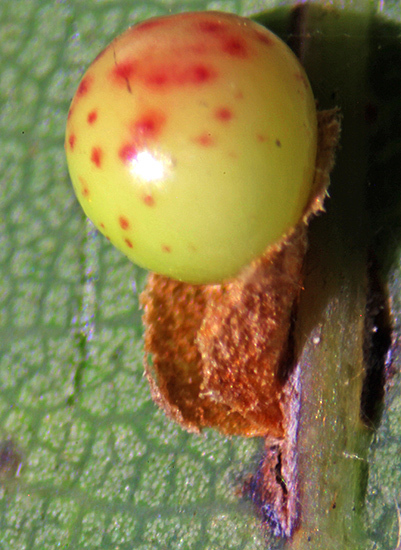 Insect galls are formed when the adults or larvae release chemicals into the plants, and the larvae develop inside the gall, which is the insect’s source of nutrients and also provides protection from predators. 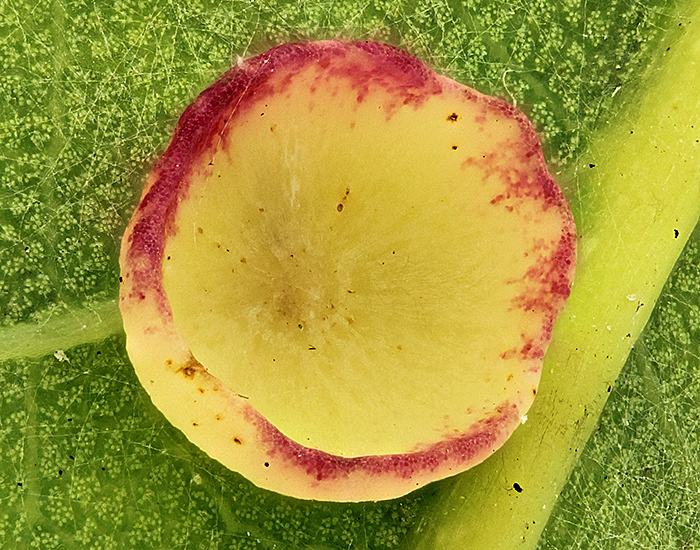 Several types of insect galls are found on leaves of oak trees; we often find them during excursions to Wimbledon Common, and they are easy to observe with a stereomicroscope. 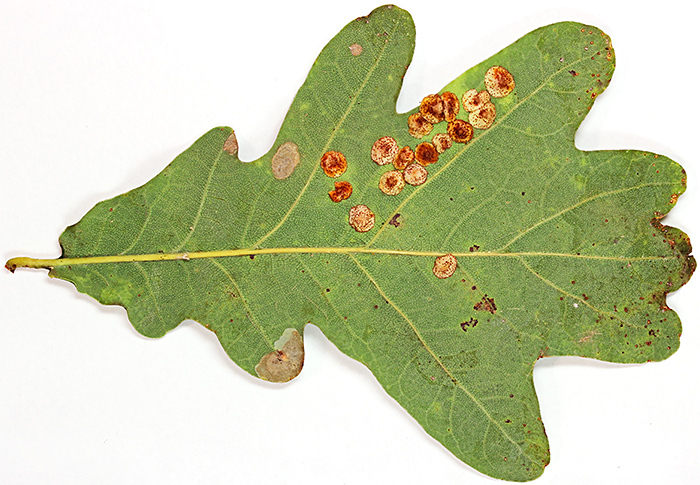 Several types of spangle galls (caused by Cynipid wasps) are found on oak leaves.